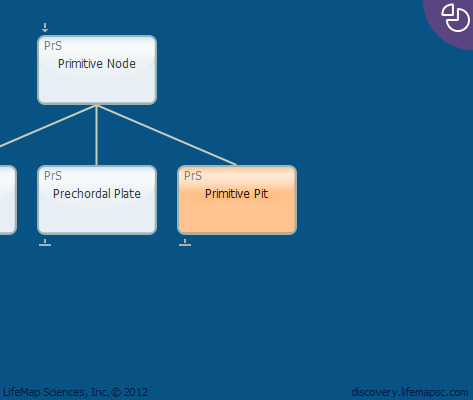 The primitive pit is a depression at the center of the primitive node. Located at the cranial (cephalic) end of the primitive groove, the primitive pit develops from the primitive node upon cell invagination, as cells migrate and form the notochordal canal or head process (which is the cranial tube-like extension of the primitive pit). The primitive pit functions as an opening into the notochordal canal in humans and higher animals and into the neurenteric canal in lower animals.